Walsh Memorial Church of England Infant School is a co-educational Voluntary Controlled school founded in 1835. The present school building was begun in 1915 to replace the old 1835 Ash National School, and was extended in 1965 and again in 2003. The name of the school was changed in 1919 to Walsh Memorial in memory of The Reverend Albert Octavius Walsh, the Rector of Ash, who was mainly responsible for raising the funds and ensuring that the ‘new’ school was built. In the early years, the school catered for a wide age range – Infants, Juniors and Seniors – and later, was a Primary School for children aged 5-11 years. 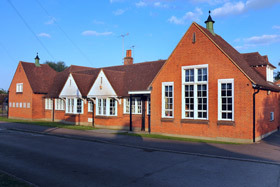 In 1973, the school was re-organised as a First School for children aged 5-8 years. In September 1993 the school became an Infant School for 180 pupils, aged 4-7 years. In January 2015 the school celebrated its 100th birthday with a brand new library. Mrs. S. Cawson (2007-present day).